High performance fast riding tyre with excellent puncture resistance. 170 TPI casing with Duraskin mesh layer side wall protection. Slick tread with low rolling resistance results in a quick ride. 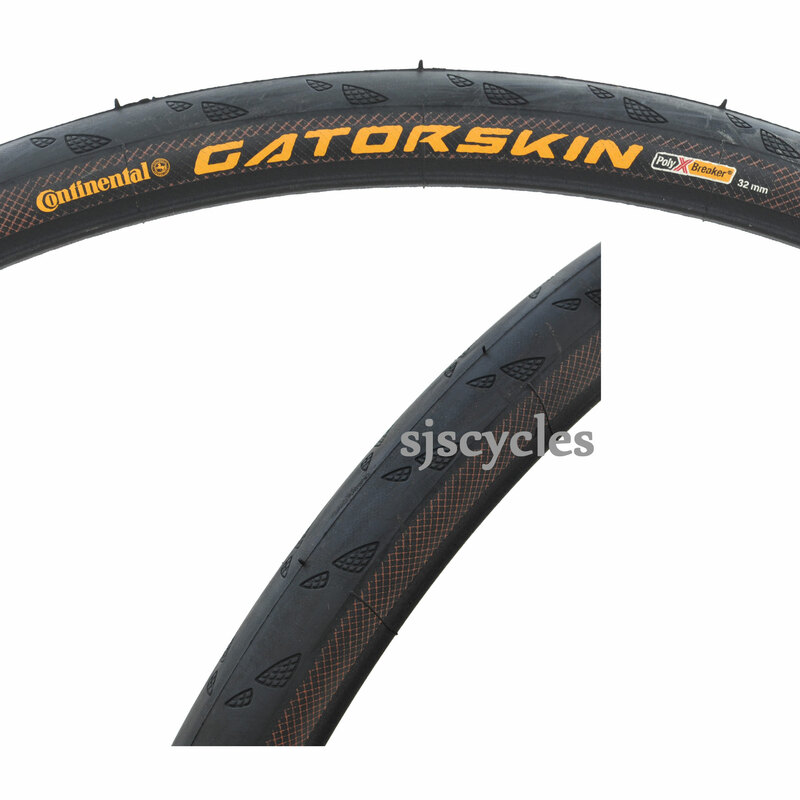 These tyres are well-known enough to not need me to review them, so I'll restrict myself to saying they're very hard to find in 27 x 1 1/4 size and they make great summer tyres for my old touring bike. Good price too. Really cheap, good quality and easy to fit. I bought 6! Superb quality tyre. Rolls along beautifully making riding a pleasure. Good grip in both wet and dry conditions. If you can justify the expense, the tyre is well worth the outlay. Very fast tyre for this size, good grip on dry roads (not used them in the wetyet)and very comfortable. What depth is a Gator skin 660 32? I am renovating old Higgins tandem. It did have Raleigh 27x1.25 on Weinman 27x1.25 rims and I thought I would upgrade to GatorSkins but I have discovered that they are too deep ie all the mudguard clearance has disappeared. Can you recommend a modern 27 tyre that is closer in depth to the Raleighs please? I assume the panaracer pasellas 27x1 be better but can you tell me by how much, depth wise? I have looked at two tyres of slightly bigger that I think will still be too big. The Pasela 27x1 are out of stock until early January so I am unable to confirm until they arrive.